This house is about ten years old. 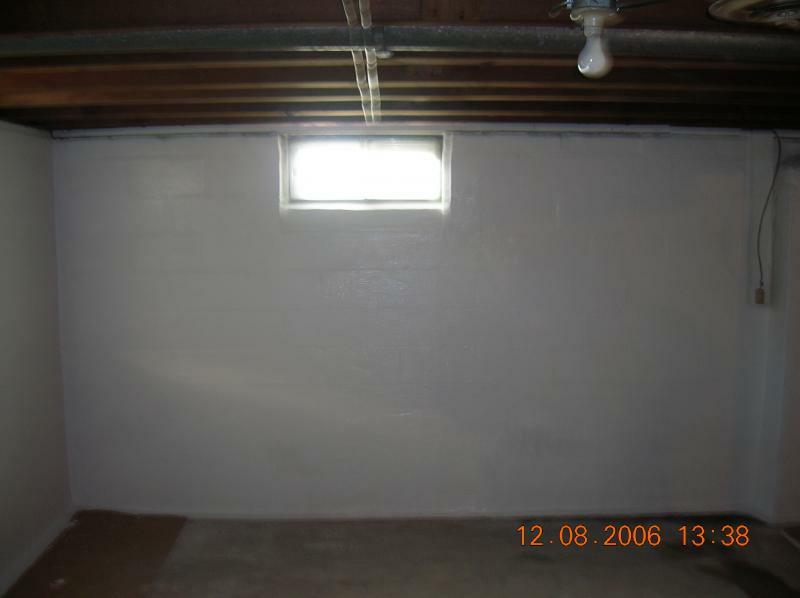 The basement walls have never been coated. 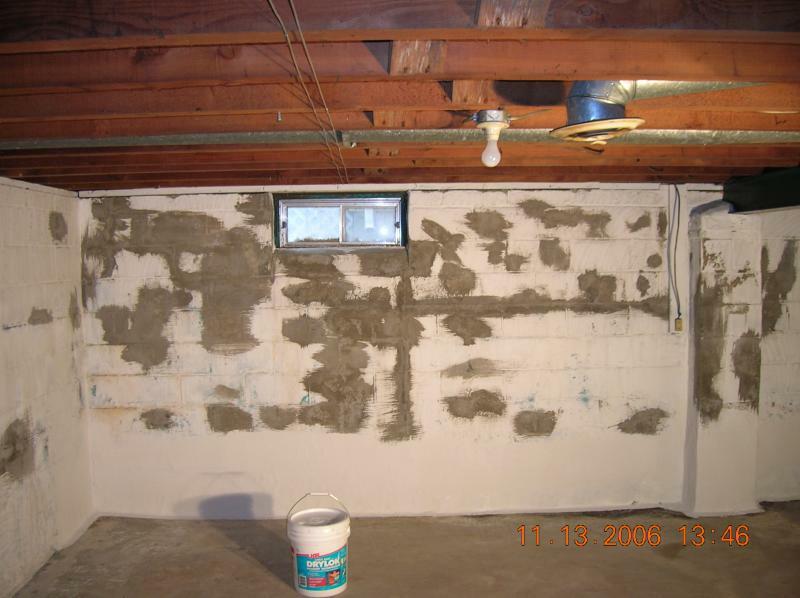 Waterproofers work best on untreated cement. 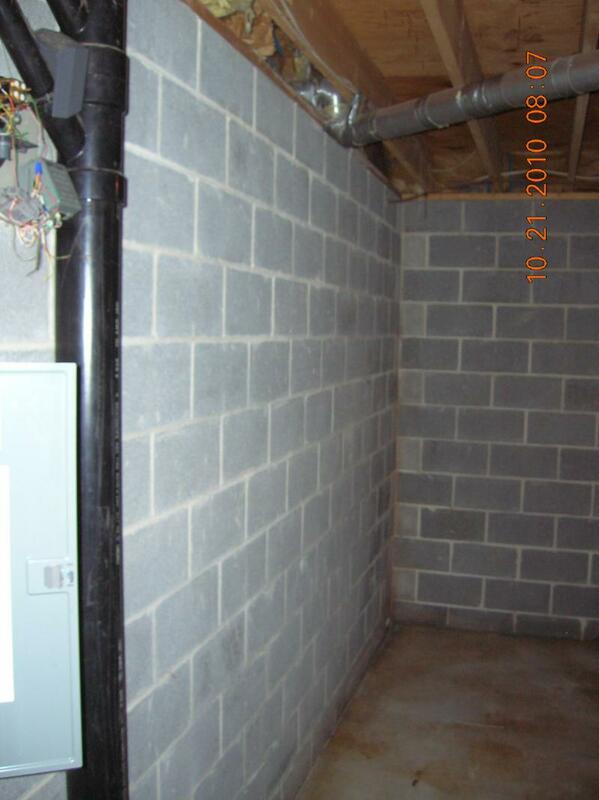 The basement walls were pressure washed with a general cleaner. The next step is to etch them with an acid wash to remove efflorescence (Salts borne from the cement). Adequate ventilation and appropriate PPE is a must. The etch is rinsed off with clean water and allowed to dry thoroughly. 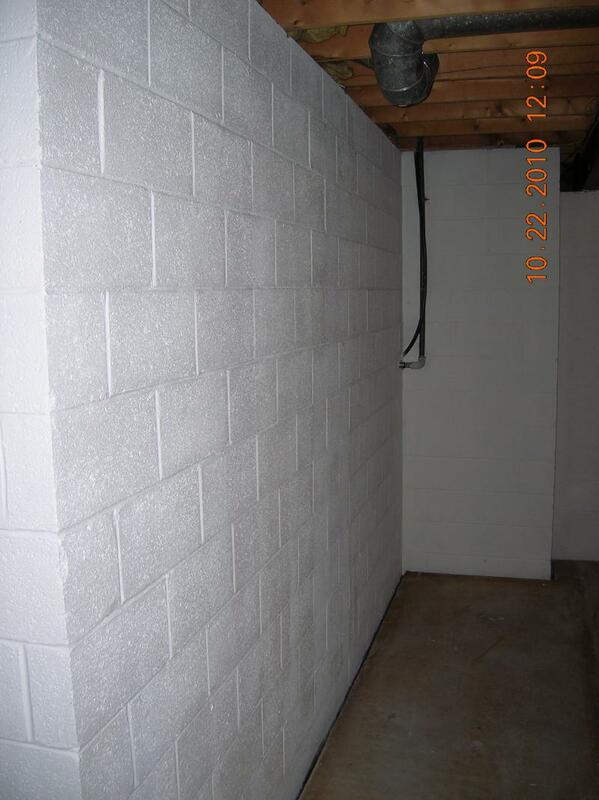 H&C Basement & Masonry Waterproofer by Sherwin Williams was used. 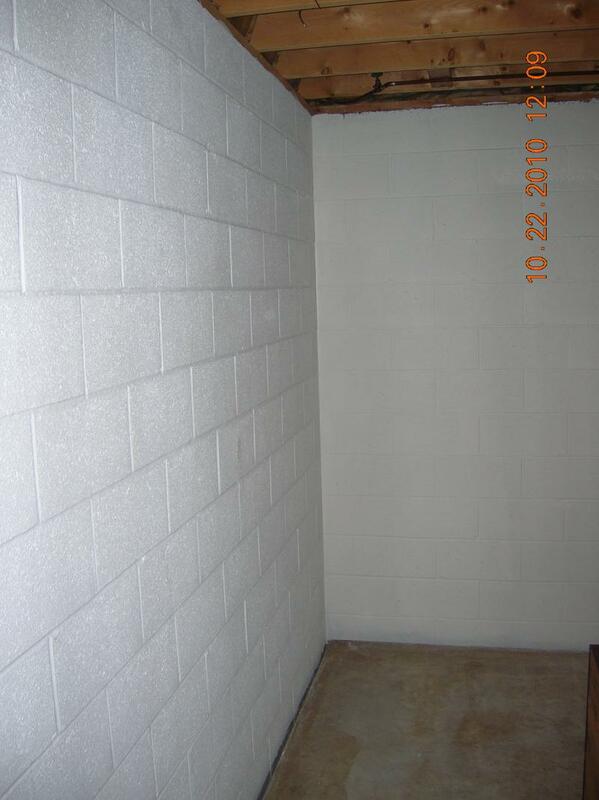 Two coats were applied by roller and back brushed. A third coat was applied where pinholes persisted. Water leaking in, almost always comes through a crack in the wall. Sometimes it comes up through the floor. 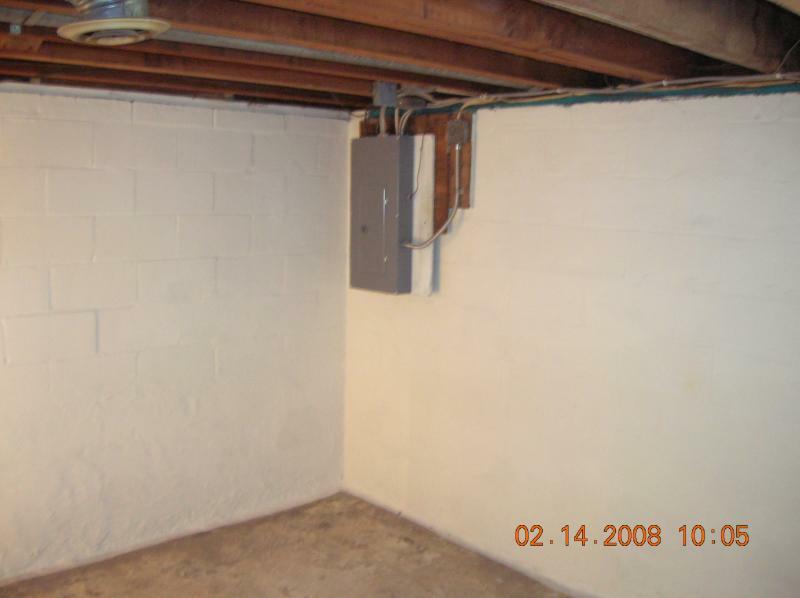 I have repaired basement walls and have installed exterior drainage to remedy leaking basements. In order to understand the problem an evaluation of the outside must be done as well as on the inside. 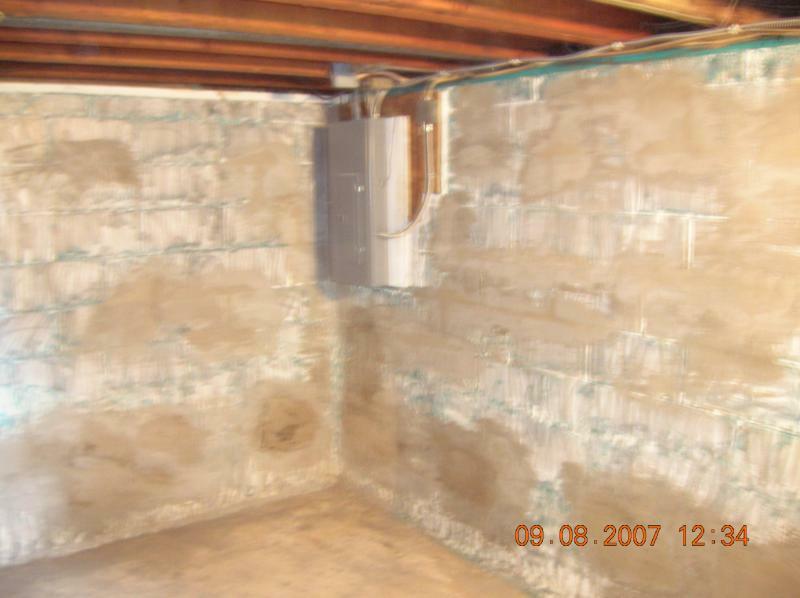 The photograph below shows a basement that has had over 20 years of water leakage. 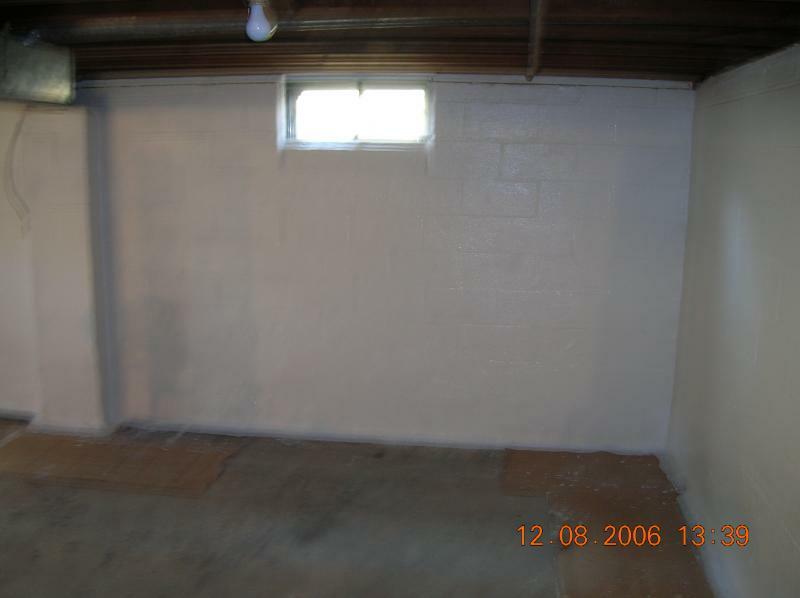 The walls are cracked and the paint is bubbling up due to efflorescence . Water streams in whenever there is a heavy rain. 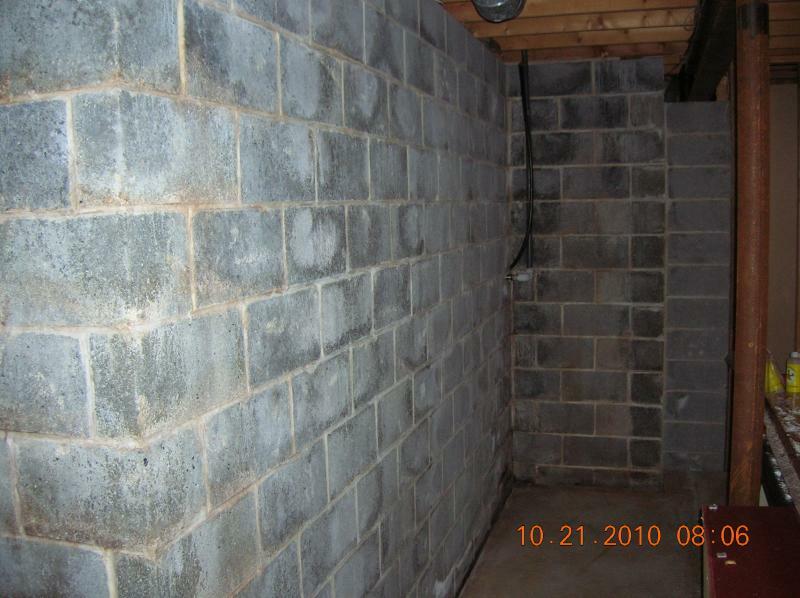 1)Outside evaluation Look to see if and how water is being directed into the basement from the outside. Sometimes the problem can be rectified through: french drains, drainpipe installation, or by grading topsoil to alter the course of rainwater. The problem may be as simple as a loose downspout. 2) Inside evaluation Locate where water is coming in to see exactly where the water is coming in. Do the walls or floor have cracks? Is the paint on the wall bubbling? 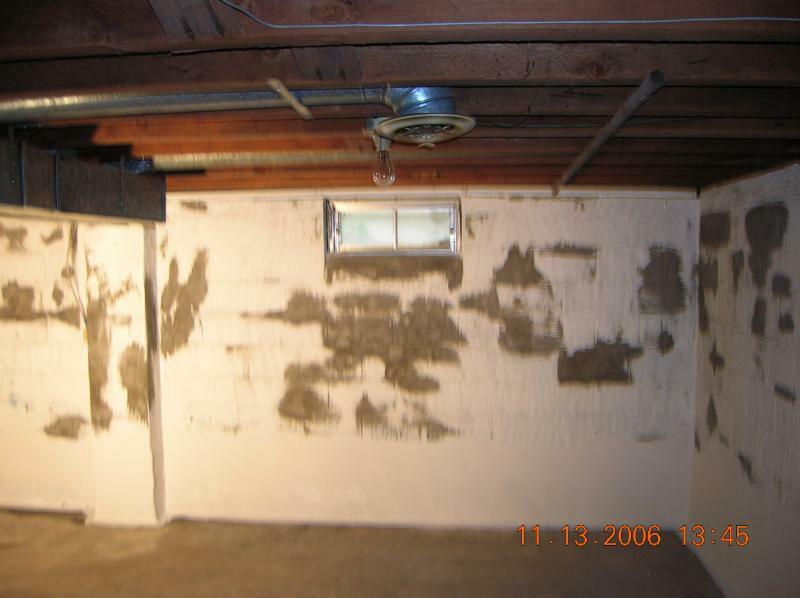 Is the wall covered with mold or mildew. Is there a dehumidifier? 3) Wait and See After a repair or change has been made, one must see if the problem has been eliminated. Several adjustments may need to be made prior to application of waterproofer. 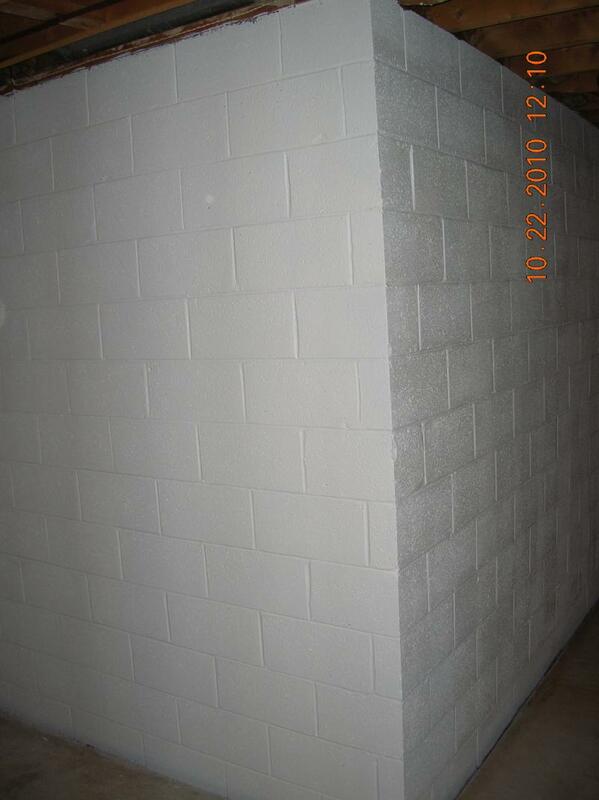 4) Here is the basic procedure for the waterproofing concrete. a) Scrape loose paint/material off wall thoroughly. 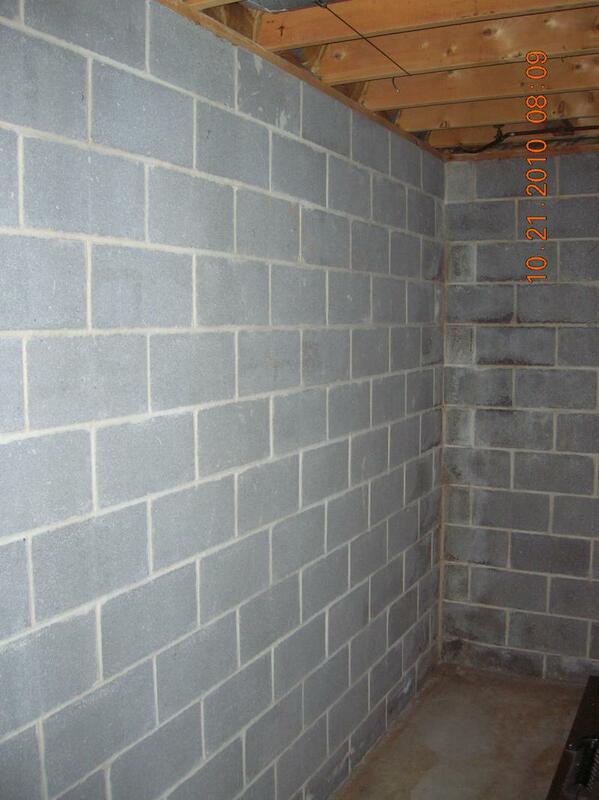 b) Fill all cracks with a hydraulic cement. Allow cement time to cure. Wait, and look for more leaking. 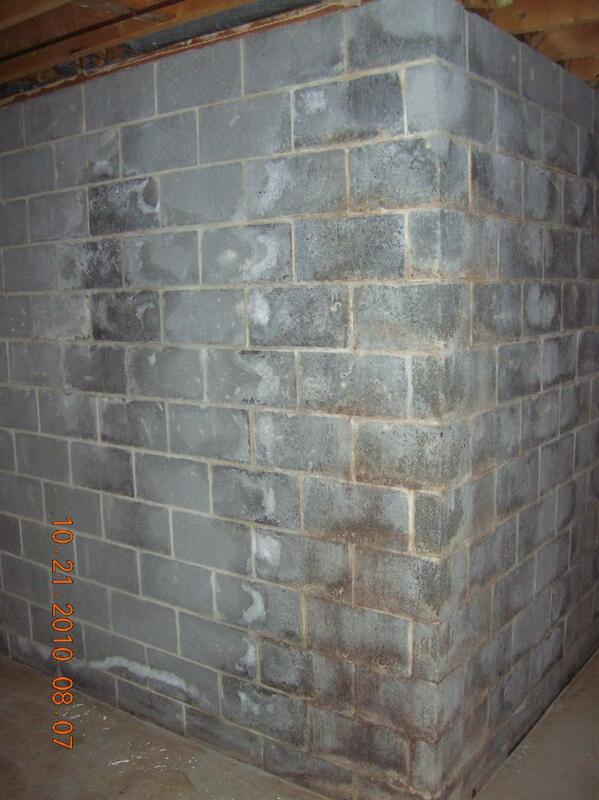 c) Wash efflorescence from surface. These salts if not removed cause failure in the waterproof coating. d) Application of a waterproof coating. 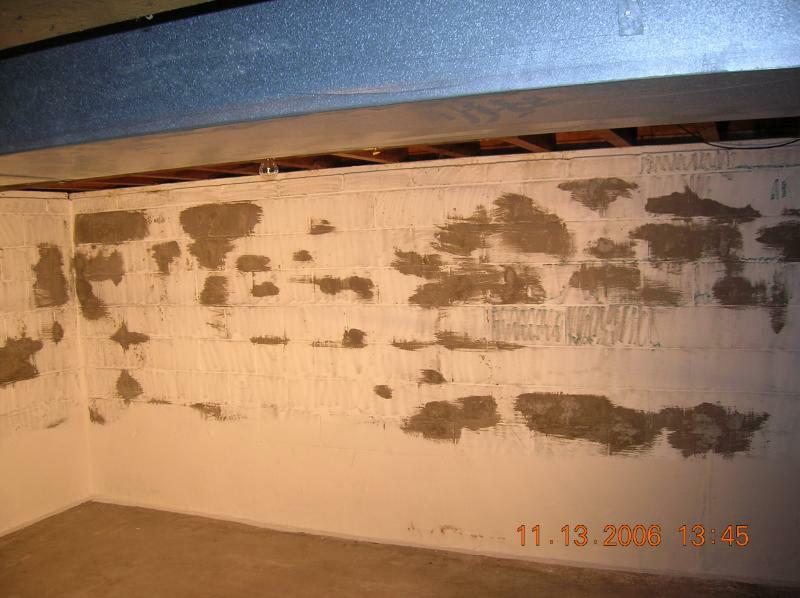 After grinding, a hydraulic cement patching compound was used to fill cracks and holes. 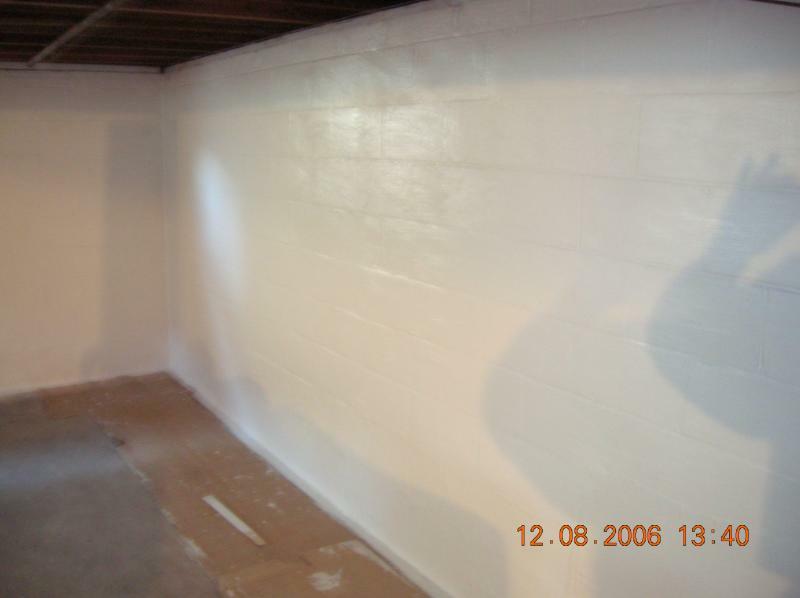 In this basement two coats of Drylok have been applied along the bottom edge to give extra protection before coating the whole wall with two more coats. Drylok is best used on untreated surfaces. Sometimes leaks persist after this application. 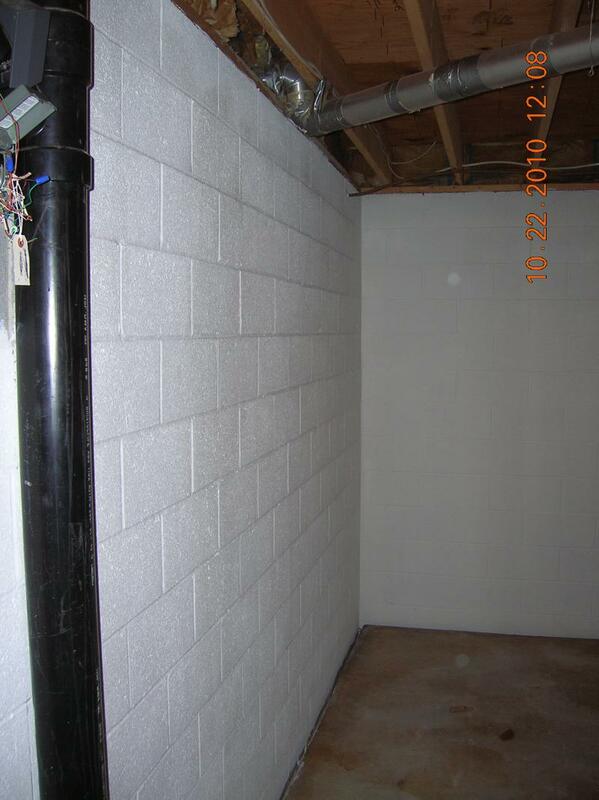 In this case a french drain containing a perforated 4" corex pipe was installed outside the window at a depth of two to three feet. The depth of the pipe was determined by the grade needed to take the water out to the street. Two coats of Drylok were applied to ensure all pinholes were filled. After several rainfalls, There were a few spots that needed further application. Sometimes leaks persist and diligence is the only way to stop them.